Inspired by Alex @ And So It Begins, who compiled a list of Memorable Movie Watching Experiences a little while back, I thought I would share some of mine. 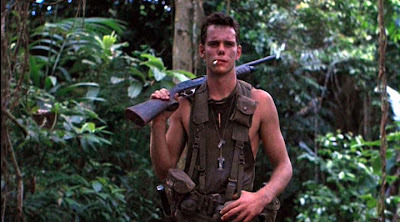 Platoon (2nd view) - I talk about it at more length here, but my second watch of Platoon remains the single greatest film experience of my life. The Usual Suspects - I watched it once and absolutely adored it. I laughed hard, I was tense, and blown away by the action sequences and the infamous finale. I went to sleep. Woke up. Watched it again. The Silence of the Lambs - I watched this when I was pretty young. I watched it alone and it terrified me. My mother warned me that it was violent and intense, but I was adamant I 'needed to see it'. I was visibly shaking during the sequence where Lecter escapes the asylum, and when my mother came to check on me all I could croak was: "this is terrifying!" The Tree of Life (2nd view) - My experience with this film on a second viewing is the definition of the magic of cinema and what it offers a cinemagoer who embraces the magic and is willing to let a film affect them emotionally, spiritually and entirely personally. You enter a darkened room, the lights go down, the film commences, and then you become so absorbed by what is on the screen that your mind forgets where you are and eliminates your surroundings for the duration, before you remember you're in a cinema when the lights come on again. I was captivated by this film, and having been blown away by the extraordinary visuals the first time around, the emotional impact really shone through. The performances - especially Pitt, Chastain and McCracken - are all fantastic. A film sure to be experienced differently by every individual. Mine was unforgettable. Holy Motors - This film, which had a lone screening at this year's Sydney Film Festival and is soon to hit cinemas, is insane. I had an absolute blast - feeling perplexed, amused, shocked and exhilarated - and never for one second could I predict what was going to happen next. It is the epitome of what I love about cinema, and a film I hope is just as awe-inspiring on repeat viewings as this original viewing was. Senna - For Senna I was sitting amongst a terrific crowd. The film offers up some laughs, so everyone was laughing together, it offers up some genuinely maddening moments during situations of injustice through the racing politics, so everyone was expressing their displeasure (and some were even yelling out, which was acceptable) and ultimately everybody in the end was a sobbing mess. It was a film that drew every emotion - casts a shadow of dread over the entire audience, knowing what happens to Senna, and offers up heart-poundingly tense race footage. 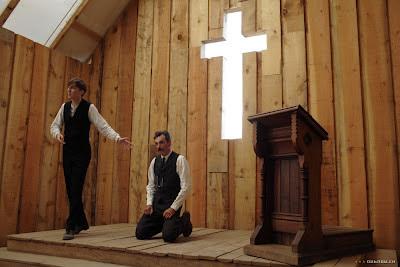 My #1 film of 2011 holds up well on DVD, but this experience made it truly special. Drive - The closing night at MIFF 2011. This was a hotly anticipated film, and was a very inspired choice to conclude the festival. All we knew was that it starred Ryan Gosling and Carey Mulligan and that director Nicolas Winding Refn (Bronson, Valhalla Rising) had won Best Director at Cannes earlier in the year. No one knew what they were in for, and the second half craziness produced audible exclamation. There were shrieks of horror and lots of nervous/unsettled laughter to try and settle the churning stomachs. A heart pounding experience that I will never forget. Even after drinking lots of sparkling wine at the after-party. 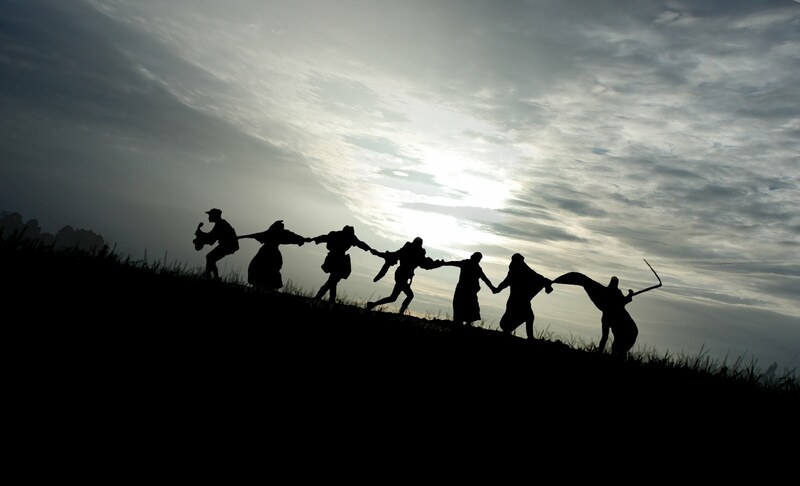 The Seventh Seal - This film is amazing. Every frame of it is stunning, and though I watched it on an average TV it seemed to make little difference. I was transfixed. The only B+W film on the list. I purchased it blindly when I went on a shopping spree in Melbourne a few years back, and watched it when I returned to Sydney. My introduction to Ingmar Bergman, and though I haven't yet seen Fanny and Alexander, I doubt any of his films will top it. There Will Be Blood (2nd view) - It took me a second viewing to fully appreciate PTA's tremendous achievement, but after exiting the cinema I said to my friend, who was a big fan of Magnolia and Punch Drunk Love (though at that time I had not seen PDL): "That is a masterpiece". It was the first time I truly believed in the word, and one of the very best experiences of my cinemagoing lifestyle. It was the film that actually prompted me to consider reviewing. I was just about to commence third year university and had just moved to Sydney. I had watched No Country For Old Men a week or two earlier at the beginning of 2008 and thought it would be worthwhile investing time and taking note of what hit cinemas on a week-to-week basis and try and keep up with everything. Before that, I had a record of all of the films I watched in 2007, with a quick review and a rating out of 10. I made the transition to star ratings with this film, awarding it five stars and writing up my first ever feature length review. 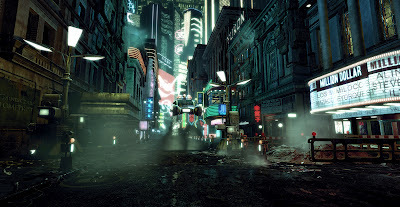 Blade Runner - One of quite a small number of films I can remember watching solely with my father. Having seen it listed as #1 on a 'Best Of' list, we were inspired to hire it out. It did not exist in any video stores, and my father was eventually leant a copy from a work colleague I think. It wasn't the director's cut, but it wasn't the original theatrical version, either. I don't think my father liked it as much as I - and I didn't love it back then - but I had never seen anything like it before, and I knew I would watch it again someday. What I find so interesting about this list is the 2nd viewings. Whenever I think of my most memorable movie-watching experiences I always only think of my first viewings in a theater. But that's an interesting notion I need to consider more. I often find I appreciate films a lot more on a second viewing. I better understand the plot sometimes, I find greater appreciation for the performances, and take note of the tech work. Often it lacks the grandeur and spectacle of the first viewing, and the twists don't work as well, but I often find myself enjoying the film more. On some occasions, it is the second/third viewing that is more memorable. As I was reading your list, I was just about to say exactly what Nick above said about the 2nd viewings of films. This is what happened with my favourite film, and can totally understand the reaction with other people and some of their favourite - or most memorable - film watching experiences. I watched Tinker Tailor Soldier Spy on DVD yesterday (the third time, after two views in cinemas) and I appreciated it even more. I would say it was a more memorable experience because I was commenting to my gf throughout (she'd seen it before too) and it made it really rewarding to recognise a feature I loved, and quickly comment on it, and have greater admiration for the film as a whole. Sometimes it takes a few viewings to appreciate a film, and several of my favourite films (and notably Platoon) took me several viewings. Great list, Andy. I still have to give Platoon a watch! I've had similar experiences with 2nd views, my first of Drive I enjoyed but it was the 2nd that made me love it. The first viewing was the most memorable (for the above reasons) but it was actually my third viewing that I realised I loved the film. I remember you telling me that Platoon story. Great stuff. I like that some of your most memorable viewings were the second time around. The Tree of Life writeup was particularly inspired. 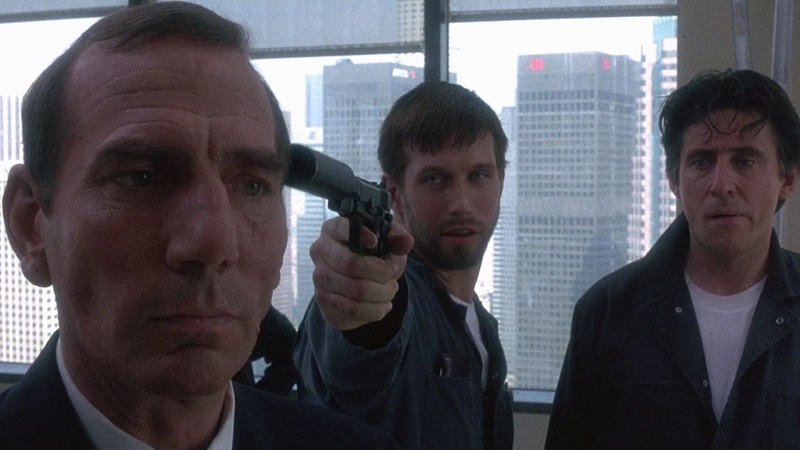 I love those moments - you like a film initially, then you see it again and you bloody LOVE it. These films, they last forever. This is true. They are the ones that stick. Not the films you think you love, and then return to and are disappointed by. The ones that get better every time. Wow. You haven't seen two of my five favourite films (TWBB and SUSPECTS) :-p You should get on The Seventh Seal. It's an essential. Yeah. 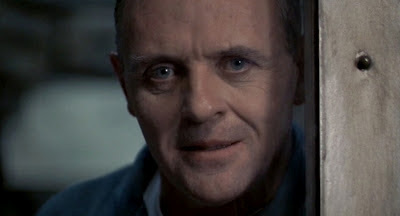 The Silence of the Lambs is one of the great thrillers ever. Incredibly suspenseful. Fantastic piece. I love all of those movies (except I haven't seen Holy Motors yet), and they all offer wonderful viewing experiences. Thanks Josh. Check out Holy Motors if it comes your way. I hope you love it as much as I do.